Breaking a tobacco habit (smoking or chewing tobacco) can significantly improve your oral health and the way your breath smells. Ask us about ways we suggest to help break a tobacco habit. Drinking plenty of water and eating healthy also keeps your mouth moist and more free of bad bacteria. Mouth rinses can help, too, but ask us which rinses actually kill the germs that cause bad breath, because some only mask odor as a temporary solution. When bad breath is a symptom of a larger bacterial problem in your mouth, Dr. Wang can help. If he finds that your mouth is healthy, we may refer you to your physician for further consultation and more comprehensive treatment. Silver (amalgam) has been something of the “gold standard” of dental fillings for years, but recently, composite fillings have become a popular method. Dentists and patients have plenty of reasons to prefer composite fillings, but before you surrender your silver, consider some facts about fillings. Silver fillings are durable, lasting on average at least 10 to 20 years, and they are very strong, making them ideal for use in the large back molars. They also tend to be less expensive than composite fillings, but usually require more invasive preparations. The biggest drawback to silver fillings is aesthetic, as they can cast a gray hue over the surface of a tooth. Silver fillings have gotten a bad reputation because of their mercury content, but the FDA and the ADA agree that there’s no proof that the compound has any adverse side effects. In fact, the mercury in amalgam fillings is only one component of a chemically stable alloy. Silver fillings have been used in dentistry for hundreds of years, and allergic reactions are rare. Composite fillings, made out of a mixture of glass and quartz materials, provide a tooth-colored restoration that looks more like your natural tooth. Composite materials are also versatile and can be bonded (held adhesively) to teeth, which calls for less invasive preparation and leaves more healthy tooth structure beneath the filling. Compared to amalgam, composite fillings are slightly less durable and are better suited for teeth with light or moderate bite pressure, and they can take longer to place. Depending on your dentist and your insurance options, composite fillings can cost a bit more than amalgam. Unless your dentist notices cracks or damages in your current fillings or expresses other concerns regarding your dental health, replacing silver fillings is a matter of personal preference. The first thing to do is get a thorough dental evaluation. If you have any degree of periodontal disease, Dr. Wang can help. He strongly believes in and focuses on the importance of healthy gums for a healthy mouth and body. Gum disease used to require surgery more often than not. While surgery is still an option and sometimes needed, many cases are now treated with less invasive techniques first, such as deep cleanings, local antibiotics, and special rinses. Please come in and let Dr. Wang help you achieve and maintain healthier gums for a healthier you. A more beautiful smile can make life more beautiful. Studies have shown that a healthy and attractive smile can raise self-esteem, increase confidence, improve your personal as well as your professional life, and help you make better first impressions on others. Sometimes it doesn’t take much treatment for you to feel better about your smile, and there are a variety of subtle, yet noticeable ways that smiles can be enhanced. There are also more significant and dramatic treatment procedures (and combinations of procedures), often called “smile makeovers,” that can totally change teeth and smile appearance, to give you the smile of your dreams. Advancements in dental technology have made it possible for dentists to address a wide variety of issues affecting smile appearance. Some common cosmetic dentistry treatments include teeth whitening, cosmetic bonding and enamel shaping, porcelain veneers, bridges, and orthodontic solutions (including braces and aligner therapy). Replacing old, amalgam (silver) fillings with tooth-colored fillings can also be considered cosmetic in nature, as it is done to improve both the health and structure, and the appearance of teeth. Really, all dental treatment aimed to improve the appearance of your teeth, gum shape, and smile can be considered cosmetic in nature. One option is ClearCorrect™. This system involves a series of custom-made plastic trays, called aligners, that are replaced every two weeks to straighten your teeth step by step. The trays are comfortable for the sensitive tissues of your gums and cheeks, and they’re conveniently removable so you can eat and brush your teeth normally. Because the trays are made from a transparent plastic material, ClearCorrect clear braces are hardly noticeable. If you don’t tell them, people might not even notice you’re wearing braces! Another orthodontic solution is Six Month Smiles™, an accelerated program that gives you great results in less time than traditional braces. Six Month Smiles uses clear braces and thin, subtle wires to realign the teeth that show when you smile. Because they are not intended to completely change your bite, these braces use low force and do not have the risk of causing root or structural damage. The average treatment lasts only 4–9 months, and post-treatment, you will be fitted with a retainer to ensure the longevity of your straight, beautiful smile. Six Month Smiles is a conservative, inexpensive, and efficient way to get the smile you’ve always wanted. Crowns, often called "caps," cover teeth to restore them to their appropriate shape and size after large fillings, fractures, and/or weakening forces such as intense grinding. In all of these cases, crowns not only cover teeth but provide added support as well. Crowns can also be used to attach bridges, cover dental implants, restore seriously discolored or misshapen teeth, and even as a preventive measure to protect a tooth in danger of breaking. Crowns can be made of all-porcelain (ceramic) material, porcelain fused to metal (for added strength), gold alloys (high noble), or base metal alloys (non-noble). 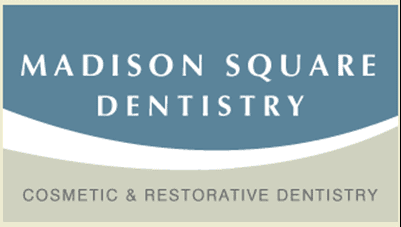 Each of these restorative materials has its advantages and disadvantages. All-porcelain restorations most closely mimic natural tooth appearance. Their strength depends on adequate porcelain thickness, thus this material requires more extensive preparation. Porcelain fused to metal alloy restorations are tooth-colored and stronger than all-porcelain crowns. Gold alloy crowns are very strong and wear resistant. They are well tolerated in terms of biocompatibility, but metal colors do not match natural teeth. Base metal alloy crowns are similar to gold for strength and durability. However, allergy to the non-noble base metals may be an issue with some patients. In light of their excellent restorative capabilities, crowns have few disadvantages. As they are more extensive restorations than fillings, their relative cost is higher. However, if Dr. Wang recommends a crown it is because our team wants to help you keep your teeth healthy and looking good for years to come. The problems crowns help to prevent and repair offset the cost. Professional treatment of TMJ ranges from minor fixes to surgical options. If your dentist determines that the main cause of your TMJ pain is an irregular bite, he or she may recommend a retainer-style mouthguard, or even a reshaping of the biting surfaces of your teeth, to subtly change the way your upper and lower jaws meet. If it’s a structural issue occurring in your jaw bone (especially if your TMJ is a result of injury), you may benefit from surgery. When it comes to TMJ treatment, it’s important to choose the most conservative plan for your individual needs. Toothbrush. The big question here is, electric or manual? When it comes down to it, it’s really all about your personal preference. Recently, electric toothbrushes have gained popularity, but not necessarily because they’re “better” than manual brushes. Both brushes are effective at removing plaque, but electric brushes can make the process easier for you. If you find manual brushes difficult to use, or just don’t enjoy the process, an electric one might make brushing easier and allow you to do a better job. When choosing a manual brush, opt for soft bristles with the smallest head—they’re easy on gum tissue and can fit around the back molars. Regardless of your hardware of choice, though, just keep brushing, and be sure to brush long enough! Although it takes a full 2–3 minutes to brush every tooth effectively, most people only brush for an average of 30 seconds! Toothpaste. First and foremost, always check for the ADA seal of approval. Despite the large variety of toothpastes available, most contain similar agents geared toward scrubbing, flavoring, or keeping your paste moist. It’s a good idea to choose a paste that contains fluoride, which strengthens enamel and makes teeth less prone to decay. Tartar-control toothpastes usually contain fluoride, but they also contain chemicals to break down plaque and antibacterials to kill lingering germs. After checking those off, choose your paste based on your personal needs. Whitening varieties have added abrasive agents (not bleach), that polish the surfaces of your teeth without damaging enamel. If you have sensitive teeth, certain toothpastes provide chemical compounds that, when used on a routine basis, can reduce sensitivity over time. Floss. While most people brush the recommended two times a day, flossing sometimes gets placed on the back burner. However, neglecting to floss at least once daily is doing your mouth a serious disservice, as up to 50% of plaque accumulation occurs between teeth. That’s why you should floss before you brush, to loosen up that plaque for easier removal with your toothbrush. If you find flossing too difficult or unpleasant, try using a flosser. They’re reusable, use disposable heads, and with handles just like toothbrushes, they make flossing as neat and easy as brushing your teeth. You can find them at most grocery and drug stores. Mouthwash. There are as many different types of mouthwashes available as there are flavors, and it’s important to choose the one that’s best for you. Cosmetic mouthwashes can rinse away debris, provide a pleasant taste, and mask bad breath temporarily. If you’re looking for a mouthwash with a purpose, look for an FDA-approved therapeutic rinse, with either antiplaque or anticavity ingredients. Mouthwashes are particularly useful for people with canker sores, braces, and dry mouth, but they shouldn’t replace brushing or flossing. Combing all of these factors makes a complete and effective oral hygiene routine, but you don’t need the fancy, expensive products to have your healthiest smile. Just do your part at home and stay up-to-date with professional check-ups, and you’ll be set to go! Detecting and treating dental problems at an early stage can save you unnecessary discomfort, money, and time. In cases where x-rays help us detect oral cancer and periodontal disease early, radiographs can also help save your life! You have a number of options when it comes to whitening your teeth. Depending on your schedule and your brightening expectations, you and your dentist can decide which is best for you. For the convenience of whitening in your own home, there are a variety of over-the-counter gels, strips, and toothpastes designed to whiten your teeth, but they contain less concentrated ingredients and can take up to a month to show results. As far as safety goes, numerous studies have examined the effects of whitening and bleaching methods. Bleaching is not recommended for children under 16, as their teeth are still developing, and is also not recommended for women who are pregnant. The most common side effects of teeth-whitening—both the in-office and take-home varieties—are teeth and gum sensitivity. This sensitivity is usually temporary, and should subside soon after you’ve stopped using the product. The two main types of tooth discoloration are extrinsic (external or surface stains) and intrinsic (internal stains). External stains affects the outside of the tooth, while internal stains discolor a tooth from within. External stains can be attributed to anything that comes into contact with the surface of the teeth, such as red wine, coffee, tea, or tobacco products. Internal discoloration reflects the actual condition of the tooth, often occurring as a result of treatment procedures, exposure to excessive amounts of fluoride (Fluorosis), and certain antibiotics. Some types and degrees of discoloration respond well to whitening methods, while others require veneers, bonding, or other restorative procedures. Dr. Wang can determine which type of stains you have and which whitening method will work best for you. Though not the first suspect in a simple case of bleeding gums, oral cancer is also a possibility. Oral cancer can be difficult to diagnose because many of its symptoms are associated with other medical conditions. They include sores, difficulty swallowing or moving the jaw, bleeding gums or cheeks, and a continuous pain in the mouth. If your dentist finds no other causes for your bleeding gums, he may recommend a visit to a specialist. Regular check-ups are vital to cancer prevention, as are good oral hygiene, avoiding tobacco, and maintaining a balanced diet. Inform Dr. Wang if you’re experiencing any of the above symptoms. You’d go to the doctor if a cut on your hand were infected—do your gums the same service! They’ll thank you later.